Main Stone & Size:Ruby 14x6mm. Material : Silver Plated. Pendant Length :24mm. Pendant Width 925 Sterling Silver Jewelry. JEWELRY SETS. Quantity:1 Pcs Pendant. Jewelry Sets. STONE USED : - RUBY. JEWELRY TYPE : - PENDANT. SIZE OF JEWELRY : - 1.90" (APPROX). FOR MAKING JEWELRY. OUR JEWELRY HAVE NO ANY SIDE EFFECT. SO ONCE GIVE OPPORTUNITY TO SERVE YOU WE WILL TRY TO DO BETTER FOR YOU. WE WILL DO OUR BEST TO RESOLVE YOUR PROBLEM AND ISSUE. Stones: Ruby, Topaz. Material: 925 Sterling Silver & Bronze. Stamped: 925. Pendant Size: 1.3 İnches 34mm. Head Size: 20X16mm. Free Gift Box. 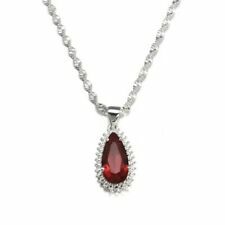 925 STERLING SILVER TURKISH HANDMADE JEWELRY RUBY ANTIQUE PENDANT. Stones: Ruby, Topaz. Material: 925 Sterling Silver & Bronze. Stamped: 925. Head Size: 26X19mm. Free Gift Box. 925 STERLING SILVER TURKISH HANDMADE JEWELRY RUBY ANTIQUE PENDANT. Stones: Ruby, Topaz. Material: 925 Sterling Silver & Bronze. Stamped: 925. Head Size: 26X21mm. Free Gift Box. Stones: Ruby, Topaz. Material: 925 Sterling Silver & Bronze. Stamped: 925. Head Size: 23X18mm. Free Gift Box. Stones: Ruby, Topaz. Material: 925 Sterling Silver & Bronze. Stamped: 925. Head Size: 26X18mm. Free Gift Box. 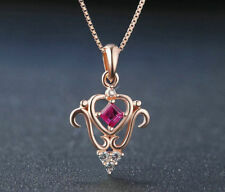 925 STERLING SILVER TURKISH HANDMADE JEWELRY RUBY ANTIQUE PENDANT. Stones: Ruby, Topaz. Material: 925 Sterling Silver & Bronze. Stamped: 925. Head Size: 26X18mm. Free Gift Box. LOVELY ! TURKISH 925 STERLING SILVER PLATED RUBY TOPAZ PENDANT SZ 1.80"
(Affect the color a little and it shows little light purple instead of dark purple.). If you bring. All jewelry photos are taken by professional photographers. NICE ! TURKISH 925 STERLING SILVER PLATED RUBY TOPAZ PENDANT SZ 1.25"
MODREN ! TURKISH 925 STERLING SILVER PLATED RUBY TOPAZ PENDANT SZ 1 1/2"
Ruby Pendent. Ruby gem stone should be worn in Gold or copper in the ring finger after Prana Pratishtha as the Sun line is found on the mount of Sun located just below the ring finger on the palm. Earth Mined Gemstone. Gem Type SYNTHETIC RUBY. Material Type 14K Yellow Gold(Light Yellow Gold) plated Solid 9K Gold. Jewelry Type Necklace Earrings. Quantity, PC(S) 1 necklace, 2 earrings. necklace: L=42 cm. earrings: 1.2x 2.5 x 0.8 cm. Ruby Zoisite Pendant Amazonite Beaded Necklace. Gem Type SYNTHETIC RUBY. Material Type 14K Yellow Gold(Light Yellow Gold) plated Solid 9K Gold. Jewelry Type Necklace. Quantity, PC(S) 1 necklace. necklace: L=42 cm. Color As Picture. Size(approx.). Clarity Explained. Gem Type SYNTHETIC RUBY SAPPHIRE. Material Type 14K Yellow Gold(Light Yellow Gold) plated Solid 9K Gold. Jewelry Type Necklace Earrings. Quantity, PC(S) 1 necklace, 2 earrings. necklace: L=42 cm. earrings: 1.4x 1.2 x 0.6 cm. Gem Type SYNTHETIC RUBY. Material Type 14K Yellow Gold(Light Yellow Gold) plated Solid 9K Gold. Jewelry Type Pendant. Color As Picture. Size(approx.). 3.5 x 3.5 x 1.0 cm. (1 3/8"x 1 3/8"x 3/8 "). Clarity Explained. Gem Type SYNTHETIC RUBY SAPPHIRE. Material Type 14K Yellow Gold(Light Yellow Gold) plated Solid 9K Gold. Jewelry Type Pendant. Color As Picture. Size(approx.). 2.5 x 1.3 x 1.0 cm. (1 "x 1/2"x 3/8 "). Dishis Designer Jewellery. Gorgeous Stylish Golden Chain with Pink Flower Design Stone Necklace set. Product Shape: Flower. Color : Pink. Ruby gem stone should be worn in Gold or copper in the ring finger after Prana Pratishtha as the Sun line is found on the mount of Sun located just below the ring finger on the palm. Earth Mined Gemstone. Gem Type SYNTHETIC RUBY. Material Type 14K Yellow Gold(Light Yellow Gold) plated Solid 9K Gold. Jewelry Type Pendant. Color As Picture. Size(approx.). 4.0 x 4.0 x 1.0 cm. (1 1/2"x 1 1/2"x 3/8 "). Clarity Explained. Gem Type SYNTHETIC RUBY SAPPHIRE. Material Type 14K Yellow Gold(Light Yellow Gold) plated Solid 9K Gold. Jewelry Type Necklace Earrings. Quantity, PC(S) 1 necklace, 2 earrings. necklace: L=42 cm. earrings: 1.4x1.4x0.6 cm.